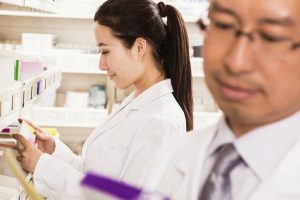 Regardless of if your goal is to boost focus, improve your attention to detail, limit and reduce symptoms of age-related cognitive decline, or eliminate feelings of stress, anxiety, and depression, your likely to find a nootropic substance that can help with any or all of your needs. The question now is, which nootropic drug is the best choice for you? There are so many different types of vitamins, medicinal herbs, and over the counter “brain-boosting” drugs that this decision can be a tough one to make for many consumers. In this article, we will attempt to explain some of the most popular substances, how they work and what they do, to try and make your decision-making process less painful. To start, let’s talk a bit about fish oils and what they are. 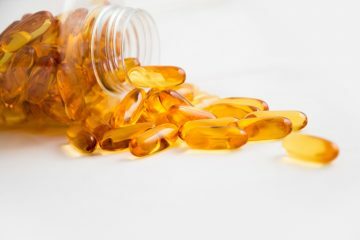 Well, it’s really not the fish oils themselves that contain brain-boosting power, but rather a fatty acid found in most fish oils called Omega-3 also known as “Alpha-Linolenic Acid.” The Omega-3 fatty acid is a powerful substance that is essential for brain development and health. Moreover, deficiencies in Omega-3 can cause many brain-related illnesses such as ADHD, depression and many others. Many people are not aware of the importance of this fatty acid, and If your diet does not consist of foods rich in Omega-3, this can result in deficiencies. Some foods high in Omega-3 are fish such as sardines, mackerel, salmon, algae, seaweed and many more, be sure to look at food labels and try to incorporate more Omega-3 into your diet to boost brain health. It’s also important to know the difference between DHA and EPA as they are both essential parts of this fatty acid that contribute to its benefits. Its recommended that the average diet contain at least 200-500mg of DHA and EPA in the form of Omega-3 fatty acids with a maximum of 1 gram in the form of pills, but as far as whole food sources of Omega-3 go there really is no limit. Another popular “brain boosting” substance is caffeine. Unlike, Omega-3 or any other fatty acids, caffeine is not essential for your diet. However, caffeine consumption is proven to have many cognitive benefits. You probably already know that caffeine is an active ingredient in tea and coffee, but some people may not like the taste of those drinks, those people can still experience the same benefits by taking caffeine pills. When consumed caffeine makes users feel more alert and reduces fatigue, and these effects are felt almost immediately for most people. Some studies have shown that caffeine also improves reaction time and other cognitive abilities. A good argument for taking caffeine pills rather than drinking coffee or tea is that its easier to monitor exactly how much caffeine you’re consuming. This an important point because overdosing on caffeine can lead to many adverse side effects such as jitters, sleeplessness, and addiction. The recommended daily dose of caffeine is no more than 400mg per day for the average person. Many studies have found that resveratrol use improves memory retention in healthy adults. Resveratrol is an antioxidant extracted from various dark-colored fruits such as grapes and berries. Chocolate and nuts are also some other familiar food sources of this compound. The studies taken so far show that increased amounts of this substance in the body can result in memory-boosting benefits, so this supplement works great for people who look to improve short and long-term memory retention. The recommended daily dose of resveratrol to feel its effects is around 200mg per day. Curcumin is a popular nootropic substance extracted from turmeric root. The reason people take curcumin on its own is that the amount of turmeric you would need to consume to receive the benefits from the curcumin it contains is enormous. Curcumin pills are a great way to improve many cognitive abilities such as mood, energy, and memory. Curcumin works by raising levels of dopamine and serotonin in the brain, two chemicals that regulate feelings of happiness and well-being. Moreover, curcumin is known to increase levels of BDNF which is excellent since deficiencies in BDNF can cause multiple brain disorders. Ginkgo Biloba is a “natural” herbal supplement which can be an essential factor for many consumers who wish to choose a more organic supplement. This substance is known for improving focus and overall brain activity. There still is some debate within the pharmaceutical community regarding the effectiveness of Ginkgo Biloba; however, when taken as a nootropic many studies show its effectiveness in healthy adults. The way this nootropic substance works is that it promotes blood circulation inside the brain, protecting it from diseases and neuronal damage. Like many herbal nootropics, there is no specific limit or daily dosage for Ginkgo Biloba, but based on user testing and research doses of 120mg-600mg are recommended for brain health. In conclusion, we hope that this article gave you a bit of insight as to what some of these brain-boosting supplements can do, and how they can fit into your needs for everyday life.